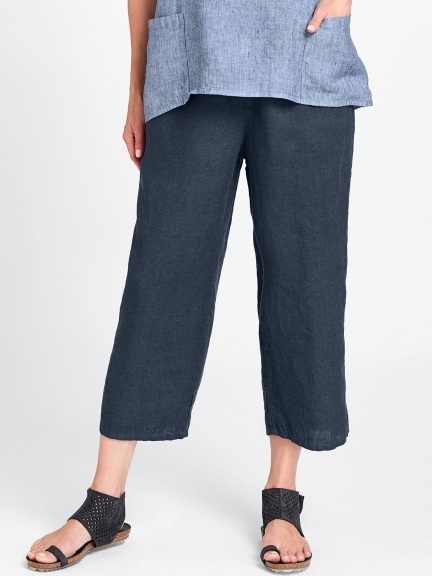 The Flood pant from Flax features a comfortable full elastic waist, side pockets, and cropped length. 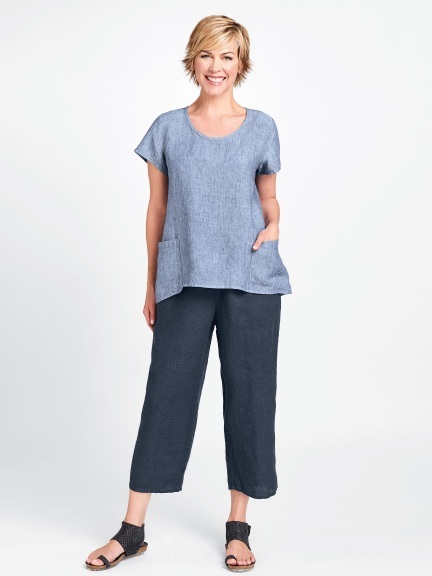 Slight gatherings near waist create subtle drape. Made from lightweight linen.